Let's hope business 101 is the next training course. 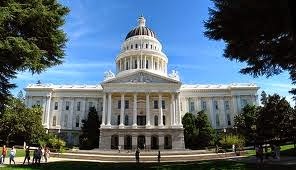 LOS ANGELES (KABC) -- The California State Senate held an "ethics refresher course" for its members after federal indictments were issued against two senators and a third was convicted. Senate leaders are hoping to regain the public's trust. The purpose of the course is to teach members and their staffs to avoid potentially compromising situations. It's the latest in a series of moves by senate leaders aimed at putting political distance between them and their colleagues facing criminal charges. The leader of California's state senate stopped all regular business on Wednesday so everyone could go "back to school" in a sense: ethics school. "We appreciate the opportunity just to go back to the basics, to re-establish what the rules are," said state Senate Minority Leader Bob Huff (R-Diamond Bar). The lessons are behind closed doors and are encouraged by leaders of both parties. Attendance at so-called ethics school is required for members and their staffs. The curriculum includes bipartisan panel discussions, meetings with ethics attorneys and the playing out of hypothetical scenarios.